START PLAY. THERE IS NO SKILL LEVEL CHOICE - THEY'RE ALL THE SAME DIFFICULTY. THIS PATCH FILE WILL NOT WORK IN THE SHAREWARE VERSION OF DOOM. IDEA UNTIL YOU FIGURE OUT THE "TRICKS" OF THE FACILITY, BUT USING "GOD MODE"
HAVE ANY PROBLEMS AT ALL. 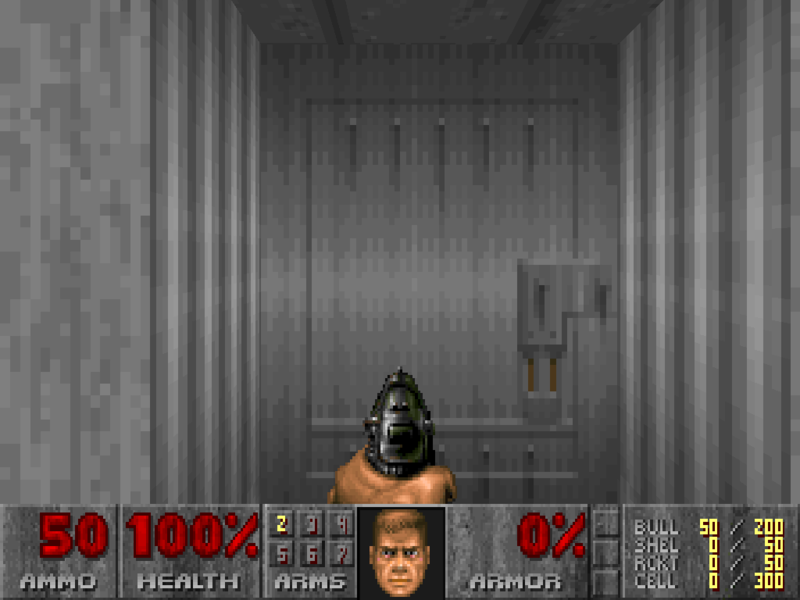 KNOWING EVERYTHING ABOUT THIS LEVEL, I STILL GET UP FROM MY COMPUTER SHAKING. I HOPE YOU HAVE AS MUCH FUN! ANYTHING THAT MIGHT HAPPEN WHEN YOU USE THEM. DESIGNERS/DEVELOPERS/PROGRAMMERS WERE SO GOOD AT WHAT THEY DO!